Free to Iowa County residents with proof of residency. Be a tourist in your own town! 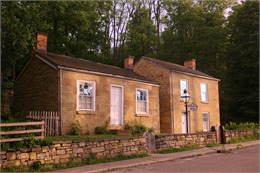 Join us this evening for an after-hours tour of three of Mineral Point’s historic attractions. Iowa County residents get into Pendarvis Historic Site, Shake Rag Alley Center for the Arts, and Orchard Lawn this evening free of charge with proof of residency. Guides will be available throughout all three sites to share stories and answer questions. Tucked away in historic Mineral Point, Pendarvis celebrates the restoration and preservation efforts of Robert Neal and Edgar Hellum, who saved a significant part of Wisconsin’s past. 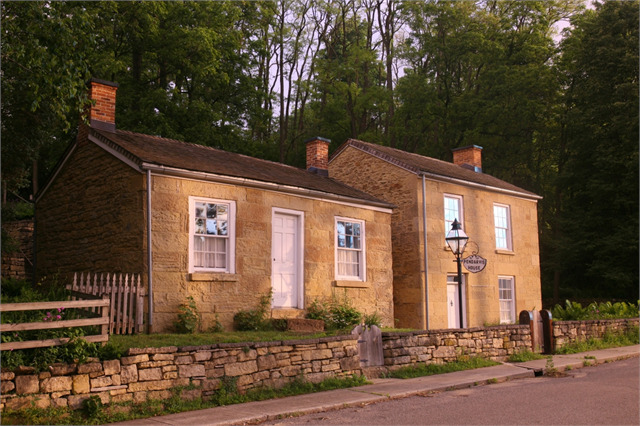 Their legacy includes the six historic stone and stone-and-log cottages which comprise Pendarvis today, built by Cornish immigrants in the 1840s during the Wisconsin Territory's lead-mining boom. Nearby Merry Christmas Mine Hill still bears the signs of early mining activity, and a 43-acre restored prairie reveals the unspoiled wilderness found by the first arriving settlers. Partially handicapped accessible. Reasonable accommodations will be made for individuals requiring a wheelchair for mobility. Call ahead to make arrangements.